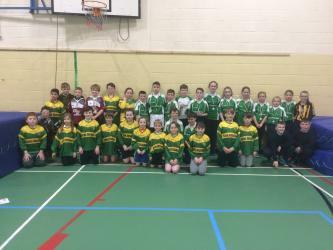 The 2018 instalment of the South Primary Schools Handball took place on November 30th. John the Baptist Community School again was the venue and their great facilities for Handball were host to some top quality action. Four schools were represented with 34 pupils taking part. New champions were crowned in each of the U11 and U13 boys and girls grades. South medals headed back to each of the schools, Kilmallock NS, Knocklong NS, Scoil Íosagáin Hospital and Herbertstown NS. 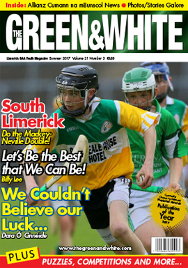 The competition offers an ideal opportunity for the South's handballers to represent their school and this year saw an increase in the number of entries. The event would not have run so smoothly without the help of James Ryan, Limerick GDA and the support of Hospital Handball Club.